I received Chanel Allure Eau De Toilette Spray as a gift from my husband and it is the only Chanel scent in my collection. It comes in a very simple spray bottle with a silver & gold cap and it is described as a definition of elegance. 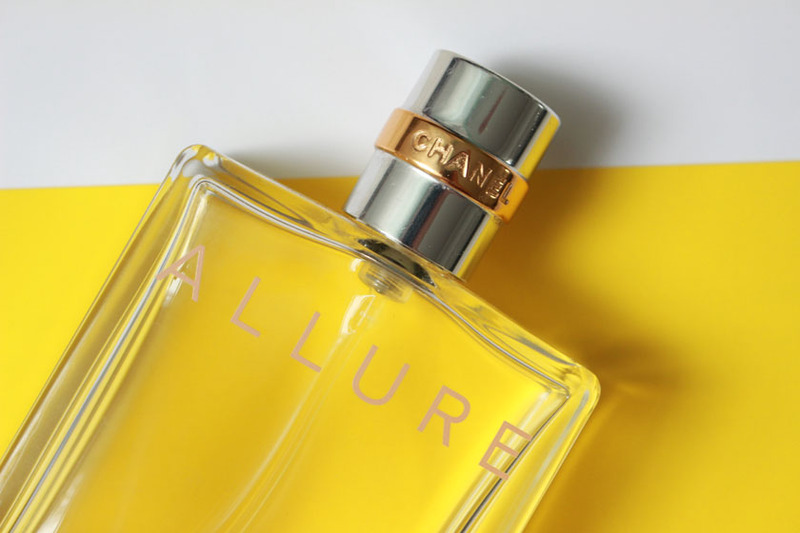 Allure is a 'floral-fresh-oriental fragrance', combining fruity notes of Mandarin, Peach & Lemon, floral notes of Bergamot, Rose, Jasmine, Water Lily, Peony, Magnolia & Orange Blossom and a woody base of Sandalwood and Vetiver with beautiful sweet Vanilla. It's a very grown up scent in my opinion and it makes me feel very sophisticated. It's quite strong at first and when I was pregnant, it made me feel a bit dizzy but it is sooo beautiful! Almost intoxicating! 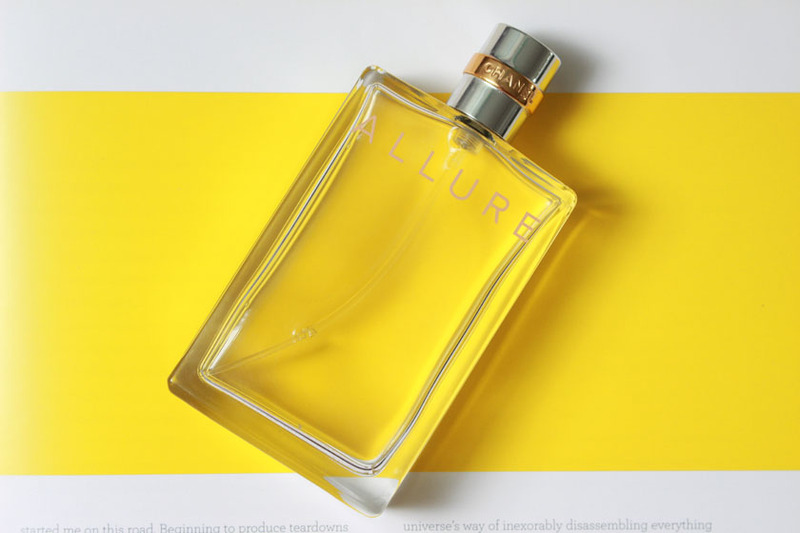 Allure lasts on my skin for a really long time and the strong initial scent settles into a lovely powdery vanilla with some woody notes. Lovely! It lasts even better on my clothes, so if I spray it on a scarf, it will last for weeks! 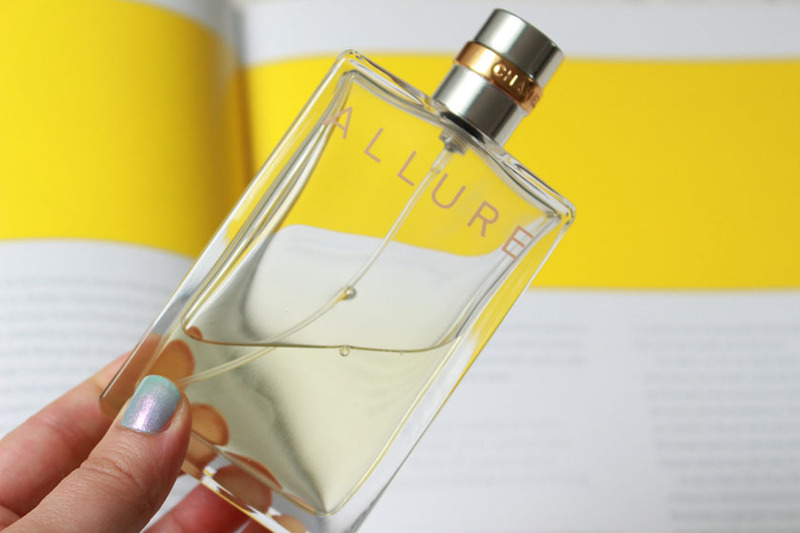 I am not gonna lie, Chanel Allure won't be everyone's cup of tea, but I love it! Available from John Lewis and other stockists.